Fibromyalgia is a debilitating health condition that affects up to 5 million people in the U.S., most of them women. As with Chronic Fatigue Syndrome, Fibromyalgia is not readily detected with standard medical testing. Fibromyalgia cannot be seen on X-ray, nor does it appear in any blood work. The medical cause of Fibromyalgia remains a mystery to most medical clinicians. Yes, its cause is unknown. In actuality, Fibromyalgia is a long standing, chronic irritation of the Central Nervous System (CNS), consisting of the brain, spinal cord and the vast network of nerves that are spread throughout the body. All function within the body is under direct control and orchestration of the brain. To speak directly with every organ system, gland and tissue cell, information travels from the brain over the spinal cord and out to each nerve. When the path of information is blocked, information to tissue is corrupted and a dis-ease process known as fibromyalgia ensues. In fibromyalgia, its primarily the pain messages that are garbled which ultimately creates the vastness of inflammation, trigger points, muscle pain, and tenderness patients experience. The hippocampus has become the focal point of attention of medical researchers as they seek to understand this disorder. The hippocampus is the part of the brain that is responsible for dealing with the stress response in the body. Trauma overload is being studied as a primary cause of fibromyalgia. Due to stress overload the CNS is unable to adequately deal with the stress response which manifests itself as an increased pain response. This stress from pain is then further intensified as the brain is blocked and unable to shut down this pain/stress cycle. This creates the chronicity of fibromyalgia. The skull and the 24 moveable vertebrae that make up the spinal column protect the spinal cord and brain. Like a stack of doughnuts, each bone is stacked one on top of the other with a hole running down the center. These bones, or vertebrae are held in place with ligaments, joints, tendons, and muscles. Daily life and its activity can cause the vertebrae to move out of alignment. In chiropractic terms, these misalignments are called vertebral subluxations, which create tension and stress within the nervous system. This tension, in time, creates the spinal nerve stress leading to spinal nerve and spinal meningeal irritation, and ultimately the adverse or abnormal pain response experienced as fibromyalgia. Through Dr. Jeff’s specialized Fibromyalgia protocol he is able to address the spinal misalignments, nerve root irritation, and meningeal irritation that are at the root cause of Fibromyalgia. By gently adjusting the spine so that it is realigned, Dr. Ptak opens up the communication pathways between all the parts of the nervous system, allowing true healing to occur. Deep breathing – if you find yourself in a stressful situation, try inhaling slowly for 7 counts, and exhaling slowly for 7 counts. The calming effect will be immediate. Fibromyalgia MeningealMassage – the healing power of touch will help your muscles, nerves and meningeal sheaths relax. Dr. Jeffrey Ptak, DC, MA of Ptak Family Chiropractic has cared for thousands of patients over the past 3 decades. He has improved the lives of patients with fibromyalgia, even those who thought they could not be helped. 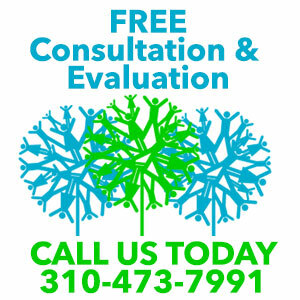 Call (310) 473-7991 and let Dr. Jeff help you overcome your pain.